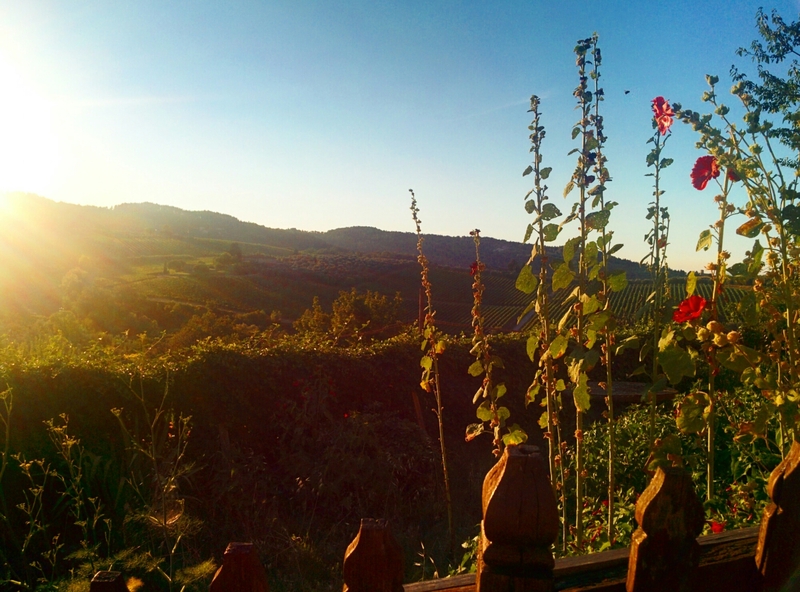 ​The Tuscan country side. Postcard perfect and exactly how you would picture it! Rolling hills of lush green vineyards, scattered with olive trees. The beauty only increases when you catch it during sunset. After waiting an hour to pick up our rental car we were finally on the road to head south of Florence. 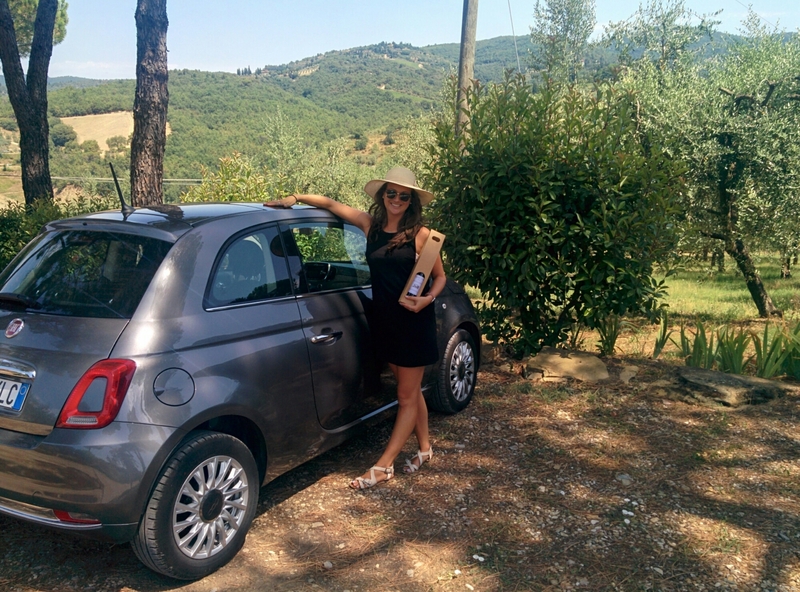 Fiona was confidently behind the wheel of our left hand drive Fiat, which we named Francesco. May I just take this small moment to say that she absolutely nailed it! A natural to driving on the right side of the road. We were staying in Dudda, a small Tuscan town approximately 15 minutes drive from the main town of Greve in Chianti. 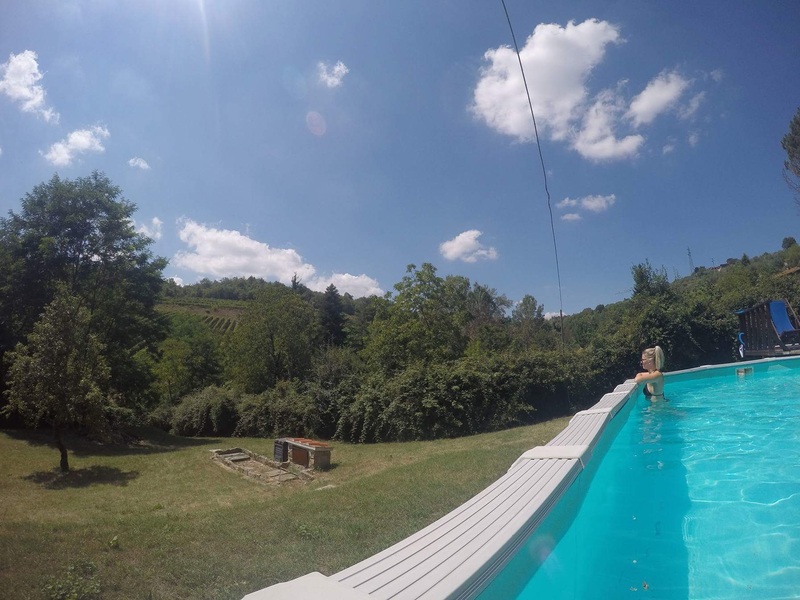 Our cute little B&B was home to the town’s local restaurant and also offered a swimming pool with stunning views. We spent the first afternoon enjoying some R&R, reading our books and dipping in the refreshing pool. But we were soon back in the car to explore Chianti. 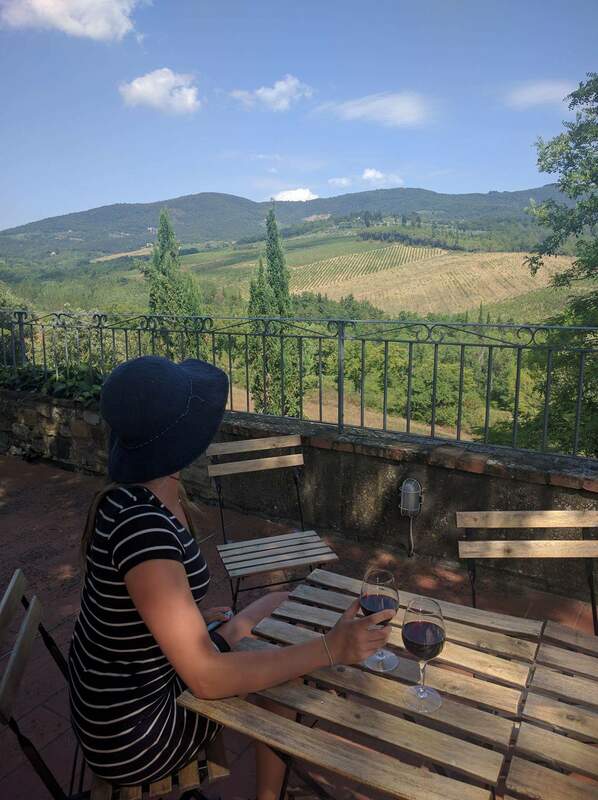 First stop was a local wine tasting centre in town, where we began to develop our knowledge on the production of the Chianti Classico wine; a rich, fruity red, which we were soon to fall in love with! We couldn’t help but to also indulge in a balsamic tasting, which included an incredible No. 20 balsamic with a hint of truffles! A shame it cost 59 euros!!! We continued to drive up the hill towards the medieval town of Montfiarelle. The small town offered big views! 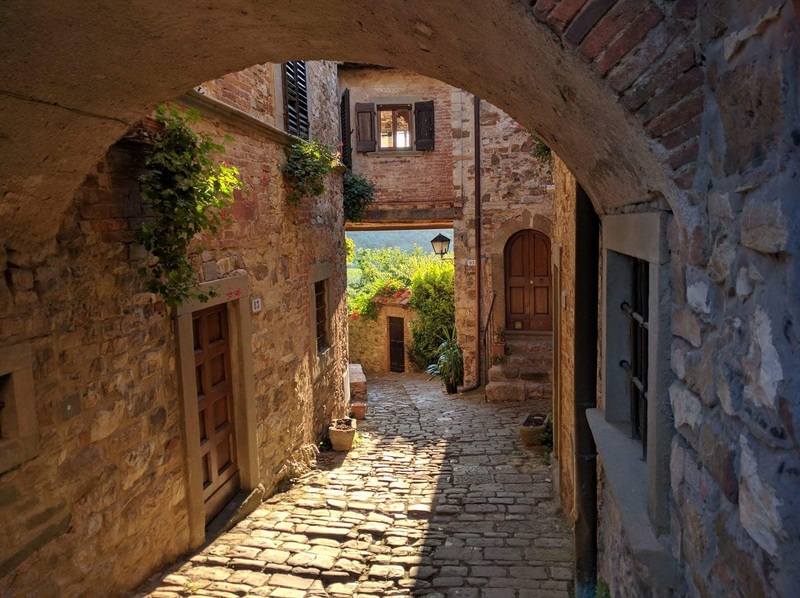 Aside from the views we enjoyed walking through the cobblestone streets and exploring through secret archways, which lead to well loved gardens. It was so beautiful! With many of the winery tours closed for Sundays (a strange concept for Australians who are used to seeing wineries at their busiest on weekends), we decided to create our own tour. We began the day in Panzana, where we explored the local Sunday morning markets. My favourite was the elderly Italian mam selling handwoven baskets. We watched on as he sat behind his stall, weaving a large handbag. His fingers continued to work as he looked up and greeted passers by. He was well known amongst the members of this town. We then made our way to Savignola Paolina; a small family run business created in the 1500’s. Fiona and I were greeted by two of the owners of the winery, who lived on site in the beautiful stoned farm house covered in vines. They were so wonderful and educated us on the production of their Chianti Classico and Riserve. 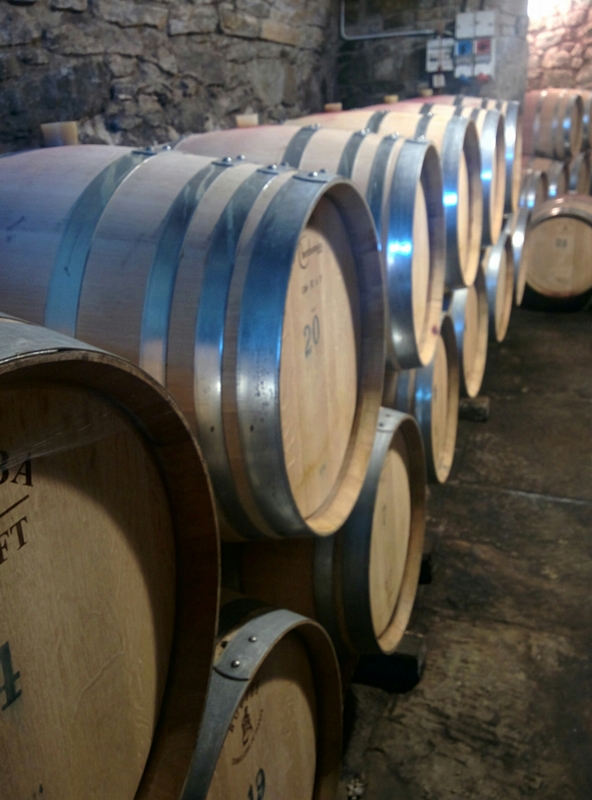 Our private tour lead us through both the renovated and the original cellar rooms, as well as the bottle production and storage stations. We then finished with a tasting of 5 different wines and olive oils. After buying a bottle of our favourite we were flattered to be asked to participate in a small “photoshoot” with the owner. We stood out in the sun chatting about our travels over another glass of wine. Another couple to add to our long list of friendly Italians we’ve met! After saying goodbye to our new friends we headed north to the town of Greti for a light lunch of Salami and cheeses to taste. 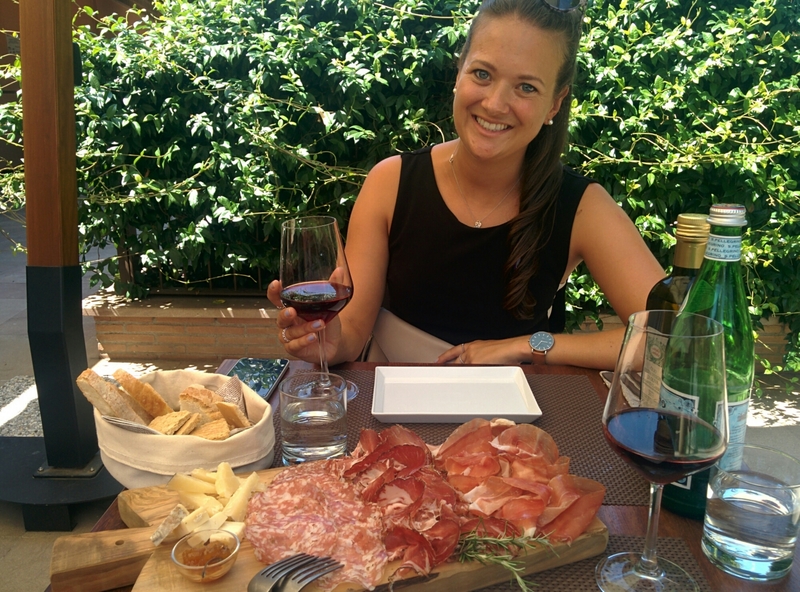 We were lucky enough to even be spoiled with extra tastings of their Prosecco Brut and beef tartare. 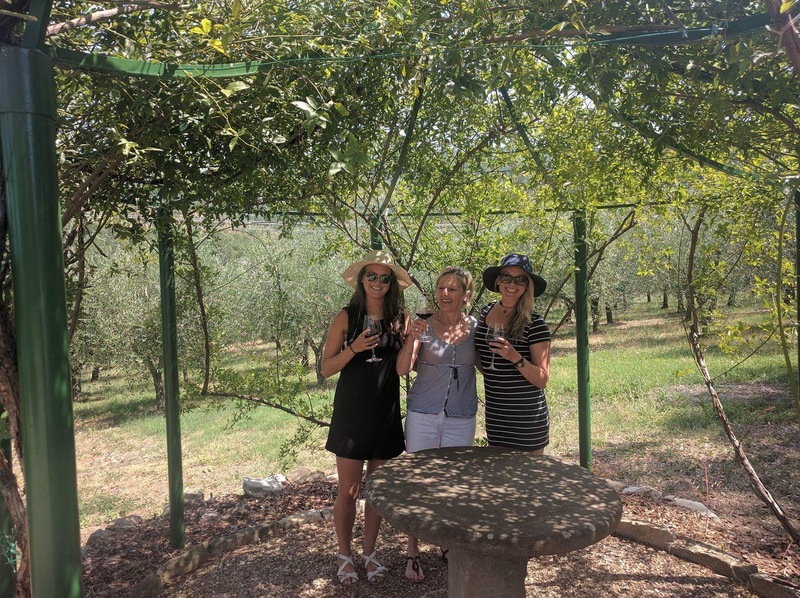 We finished our self guided tour by stopping at Castello Vichio Maggio, which is one of the oldest wineries in the Chianti region. There we grabbed one final glass and positioned ourselves on their outdoor terrace. A perfect way to finish our Sunday winery tour with stunning views of endless vineyards. Not to mention the complete silence. Bliss!